THE SEANAD HAS passed the Occupied Territories Bill to the next stage this evening. 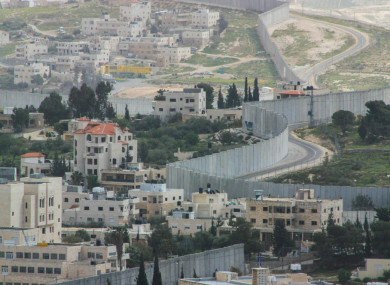 The Bill, which was voted on this evening, aims to prohibit Ireland from trading in goods and services from Israeli-occupied territories by prohibiting “the import and sales of goods, services and natural resources originating in illegal settlements in occupied territories”. Speaking about her Bill, Senator Frances Black wanted to clarify that the proposed legislation does not single out any state, adding that there is no mention of any particular region. Sinn Féin’s Niall Ó Donnghaile said the Irish government is enabling a form of apartheid in Gaza, stating that the Irish government’s position on the Bill is “shameful”. Fianna Fáil’s Seanad spokesperson for Foreign Affairs, Ned O’Sullivan said his party decided to support the Bill as it has long held an interest in the Middle East peace process. However, in recent times he said he has become frustrated with the lack of progress. During the course of the debate, Senator David Norris accused Fine Gael’s Joe O’Reilly of filibustering the discussion. Norris listed off the various legal authorities who have backed the Bill and found that it is fully compliant with EU law. O’Reilly said it is often the case that the government follows the AG’s advice, which warns that Ireland could stand liable to class action. The experts cited by Norris include Irish Senior Counsel, Michael Lynn, Professor James Crawford, who is a judge of the International Court of Justice as well as Senator Michael McDowell, a former attorney general. Most recently, Takis Tridimas, a professor of EU law at King’s College London has attested to the legality of the Bill. However, despite many legal experts stating the proposed legislation is compliant, Tánaiste Simon Coveney continues to rely on advice he said he has received from the current Attorney General, who says it would breach law. The advice has not been published. Fine Gael Senator Michelle Mulherin added her voice to the opposition to the Bill, which she said is “unlawful”. “This Bill will be passed by this House tonight,” said Gerard Craughwell, who added that there can be no doubt that Israel is illegally occupying an area and breaking international law. While he said the passing of the Bill might not give “shock waves” to the Israeli government, but it might provide “a lead for rest of the EU to follow”. Email “Seanad passes Occupied Territories Bill despite government opposition”. Feedback on “Seanad passes Occupied Territories Bill despite government opposition”.